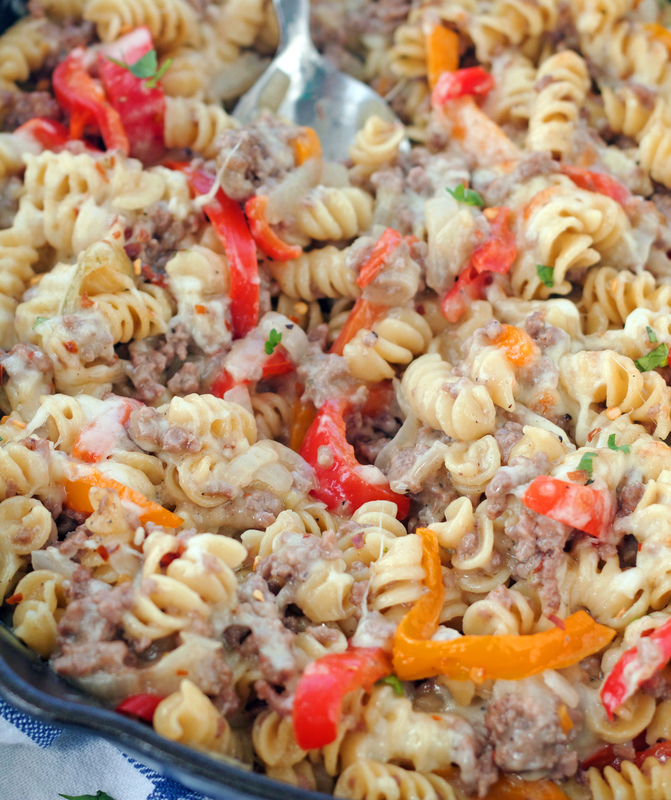 Rich, creamy and crazy delicious, this Philly Cheesesteak Pasta Skillet is going to become your new best friend. 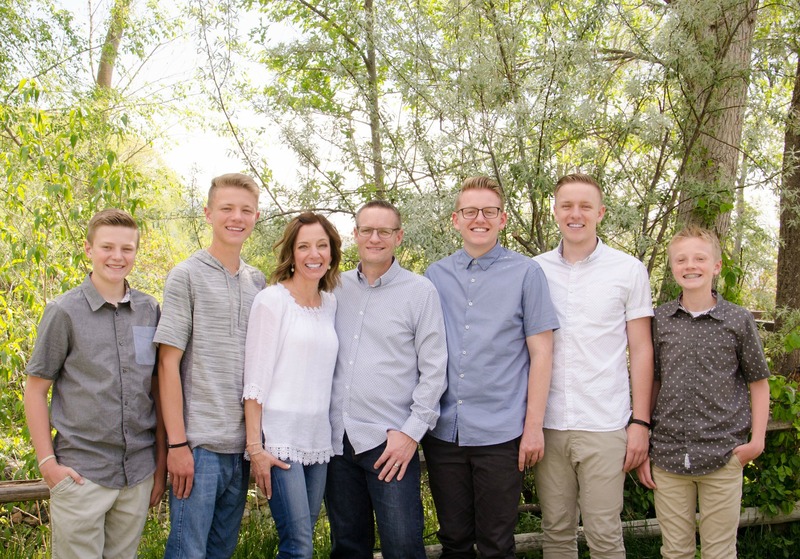 I’m not sure what your family’s go-to comfort food is, but at our house pasta is always at the top of the list. We LOVE it in any shape and with any sauce. 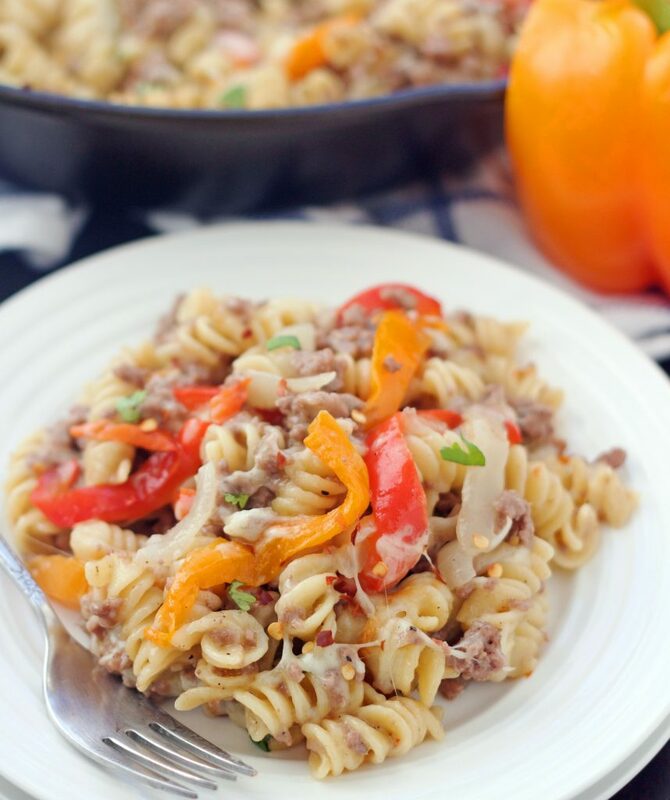 If I had to guess, I’d say a lot of you are pasta lovers as well, so I think you’re going to love this Philly Cheesesteak Pasta Skillet. You all know how much I ♡ skillet dinners, I’ve raved about them many, many times. So pasta and skillet both in the same sentence . . .definitely the best of both worlds here. This stuff is seriously amazing. I won’t claim that this tastes just like an authentic Philly Cheesesteak, but I can tell you it is so fabulous! My boys inhale this and Parker, who tells me all the time he wishes I’d just make “normal” stuff (i.e. tacos or spaghetti every single night) absolutely loves this (now that’s huge!). The next time you have a hankering for a classic Philly cheesesteak, you should give this cheesesteak pasta a try! It’s fantabulous! Heat the oil in a large skillet (10-12 inches) over medium-high heat until shimmering. Add the onion and 1/2 teaspoon of the salt, and sauté until onions start to turn golden brown and soft, about 5 minutes. Add the bell peppers and garlic, and cook for 2 to 3 minutes until bell peppers begin to soften. Add the ground beef, pepper, and remaining 1/2 teaspoon salt. Cook until browned and no pink remains, 5 to 7 minutes. Stir the uncooked pasta into the beef and onion mixture. Pour in the chicken broth, cover, and bring to a boil. Uncover and cook for 20 to 25 minutes, stirring occasionally, until the pasta is cooked and most of the liquid is absorbed. Sprinkle in half of the grated provolone and pepper jack cheeses into the pasta and mix well. Sprinkle the remaining cheese over the top and broil until cheese melts and turns golden-brown, 2 to 3 minutes. You really can use any kind of bell peppers you'd like. Add some green or yellow bell peppers or just one kind if you'd rather. Any combination of peppers will be delicious! This has become a family favorite! We just throw in whatever bell peppers we have and I use half whole wheat pasta and half not. Thanks for the wonderful recipe! Natalie I’m so glad your family loves this. I’m like you and when I make this, I just throw in whatever peppers I have. Thanks for taking the time to leave a comment. I love hearing from readers. Happy New Year!